This article is 3327 days old. 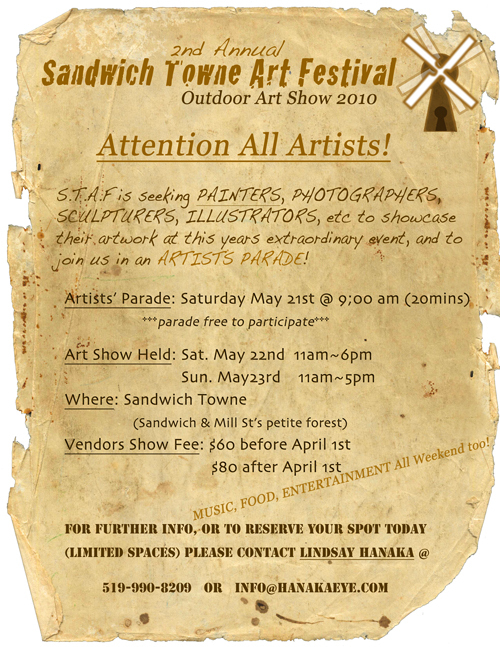 The Sandwich Towne Art Festival is looking for artists to exhibit this spring in the annual event. With news of festivals in the air, and in light of the beautiful temperatures outside, it seemed appropriate to post about the Sandwich Towne Art Festival and their open call for artists. The festival is in now into it’s second year, and besides a name change (it was previously known as the Sandwich Revival Art Show), there are more differences to look out for. To kick the weekend off, an Artists’ Parade will see participating painters, photographers, sculptors, illustrators, etc. march into the “petite forest” on opening day. The festival will also include more attractions for the community in general. Street performers, cotton candy, live art painting classes, face painting, local music and more food vendors will hopefully draw a large crowd into the city’s oldest neighbourhood. The “petite forest” is located at Mill and Sandwich Streets, and offers the perfect location for this open-air art exhibit. The festival is set for May 22nd and 23rd this year, a bit earlier than last year (it was held at the end of June in 2009). For any artists out there looking to show off their work, the vendor fee is $60 before April 1st, and $80 after that. 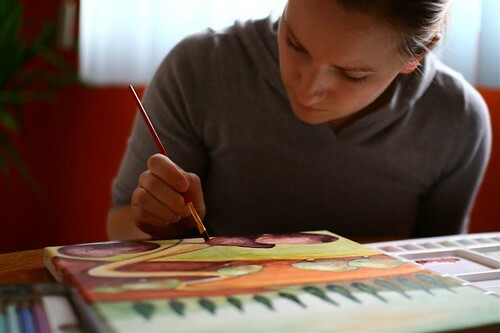 Interested artists can email the organizer, Lindsay Hanaka of Hanakaeye Photography, at [email protected] if they have any questions, and to receive an application.